Greetings Once Again, Fellow Wisconsinites! Over the next few days, we intend to highlight the Campaigns of each of these three candidates. 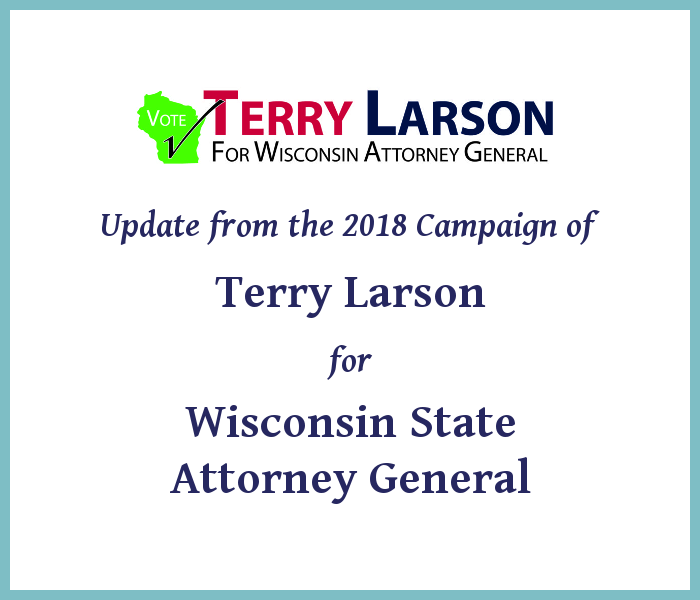 Today, we wish to highlight our candidate for Wisconsin State Attorney General, Mr. Terry Larson. As with all of our email communications with you, we not only invite, but also strongly urge you to share these messages with all of your friends, family, acquaintances, or others who share our political convictions, or who otherwise share a genuine and open willingness to hear and consider the political views of others. Encourage them to join our email list! This post was delivered to our email subscribers on Monday, September 10. Click here to be added to our email subscription list, and to receive our Communiqués when they are hot off the press! 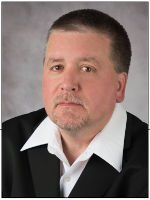 Mr. Larson has been a technical writer and publications project manager for agricultural, construction and consumer equipment manufacturers for over 25 years. As State Attorney General, Mr. Larson will oppose the enforcement of Supreme Court opinions as “the law of the land,” holding, rather, with the Constitution that State Law is written by State Legislators, not the Courts, that our State Constitution is written and approved by the people of the State of Wisconsin, not the U.S. Supreme Court. It is the obligation of State Legislatures to either affirm U.S. Supreme Court opinions by rewriting their laws accordingly, or to nullify those decisions. Mr. Larson has written a pledge to voters, which constitutes his campaign platform. 1. I will not allow Supreme Court opinions to be enforced as law upon the citizens of the state of Wisconsin, and I will assist any other state attorneys general in doing the same in their states. No Supreme Court opinion revises or repeals Wisconsin state laws or enacts new laws for the citizens of the state of Wisconsin. That is the function of our state legislature. I will perform my most basic job function and enforce the laws of the state of Wisconsin even when they come into conflict with the opinions of the unelected lawyers on our state or federal supreme courts. It is the function of our state legislators to consider revising or repealing these laws “in conflict,” or to enact new laws. It is my function to enforce the laws of the state of Wisconsin as they were given to us by our elected representatives in our state legislature. 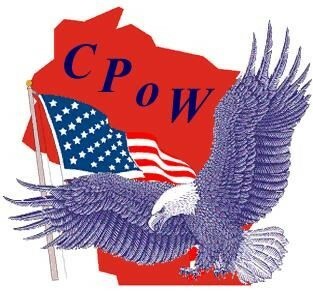 I will oppose, by every legal means including lawsuits, the enforcement of federal laws upon the citizens of the state of Wisconsin if I believe those laws are harmful to the citizens of Wisconsin. 2. I will not involve the office of the Wisconsin Attorney General in matters like fighting opioid abuse beyond enforcing state laws and advising the citizens of Wisconsin and the state legislature about related laws. While fighting opioid abuse is a worthwhile cause, involving my office in every cause makes it impossible to perform my most basic job function, which is enforcing the laws of the state of Wisconsin. 3. I will insist the citizens of Wisconsin and the state legislature act to protect all veterans’ memorials and monuments in Wisconsin under state law, and I will assist any other state attorneys general in doing the same in their states. I will defend the honor of those soldiers who fought and died in the Civil War answering the call of their state legislatures, both for the Union and the Confederacy, and insist all Civil War monuments and memorials be protected as well. I will advise the citizens of Wisconsin and the state legislature to provide protections for the American flag anywhere in the state of Wisconsin. 4. I will take action to see federal immigration laws and/or similar state laws enforced, and I will assist any other state attorneys general in doing the same in their states. I will advise the citizens of the state of Wisconsin and the state legislature to prohibit the creation of any sanctuary areas for illegal aliens anywhere in the state of Wisconsin. 5. I will take action against anyone infringing upon the freedom of speech or religion, or the right to bear arms which the citizens of Wisconsin have under both our federal and state constitutions, and I will assist any other state attorneys general in doing the same in their states. I will advise the citizens of the state of Wisconsin and the state legislature to prohibit anyone doing business in the state of Wisconsin from infringing upon these rights. I will advise the citizens of the state of Wisconsin and the state legislature to provide armed security services for all K-12 public and private schools in Wisconsin. 6. I will advise the citizens of the state of Wisconsin and the state legislature to expand Wisconsin’s Open Records and Open Meetings Laws to require governmental bodies to record meetings and provide access to recordings online for viewing by the citizens of the State of Wisconsin. Copyright ©2018, Terry Larson, All rights reserved. Used with permission.